The key to any successful and healthy community is always due to its effective leadership and how those individuals positively contribute to its local development. No matter the capacity, these personages take on creative ways to improve their city while representing it all in the same. Meet Arreasha Z. Lawrence, an innovative and trailblazing river-region native with a fiery passion for everything music that is always demonstrated in her provision. Although she is a woman of many hats, from being a minister of music for numerous churches, chief of staff and operations for G.W. Handles & Designs, a part of Mayweather Entertainment Group, and many other roles, she is also the founder of MUSEC Organization and the newly Music Legend Awards. Her multiple acts of service to her community and legacy hardly exemplify just who she is, but her extraordinary vision and desire to make an impact on everyone she encounters with her gifts does. 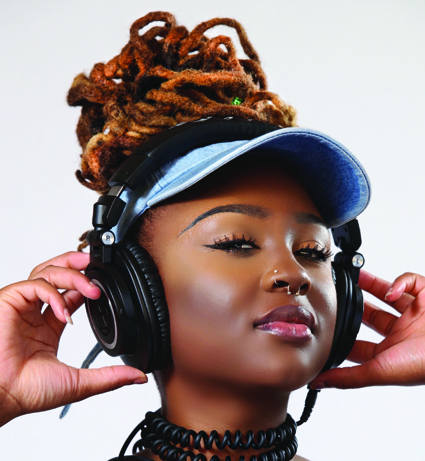 With the gift of music, Arreasha Z has managed to take on the world by storm. In just a short time, she has visited Princeton University for leadership training, attended and worked the 60th Annual Grammy Awards, and created two entities that will assist in bringing more opportunities and recognition to Columbus, GA, and the neighboring city of Phenix City, AL.